Nothing is more annoying, to music lovers at least when you find that one or more of your favorite songs is missing from your playlist. You check to see if it’s the player that is messing with you but no, the file is actually gone. This can happen for lots of reasons chief among them being accidental deletion. If you had a backup of all your music, then the solution is as easy as simply restoring the backup. But if you didn’t, you need an alternative. In this article we are going to be looking at the best way to recover lost music files on your Android device. Let’s begin with where music files are stored on your device. Part 1: Where is music saved on Android device? 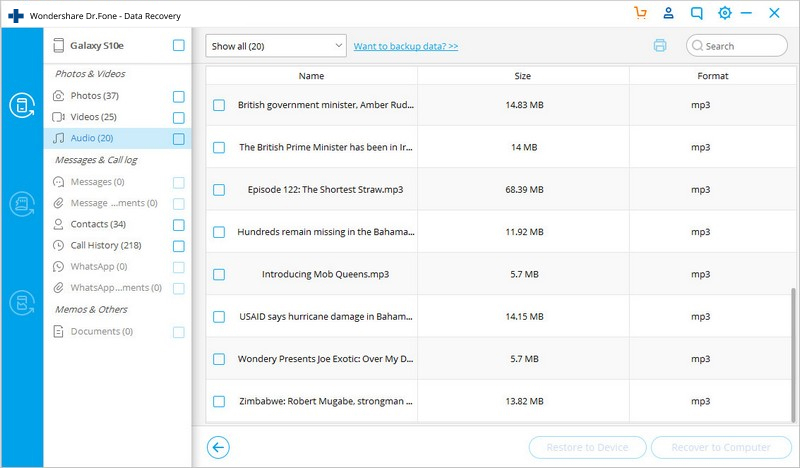 Recover deleted/lost music files on Android smartphone/tablets. Follow these very simple steps to use Dr Fone for Android to recover lost music from your Android device. Step 1: Begin by downloading and installing dr.fone to your computer. Launch the program and then connect the device to your computer using USB cable. 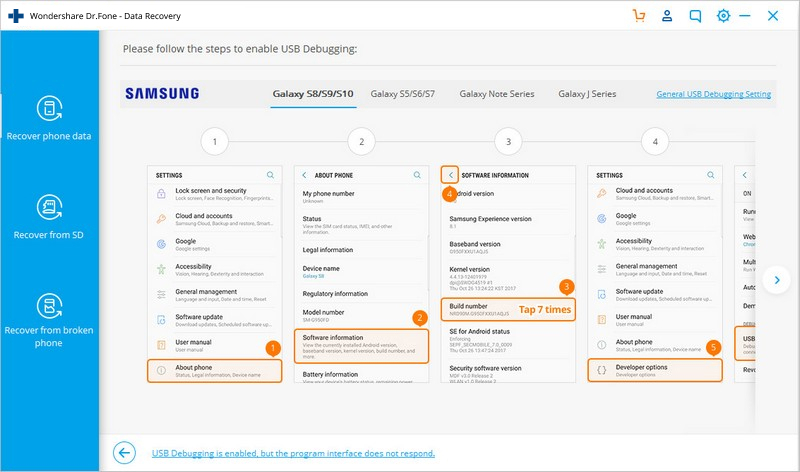 Step 2: If you hadn’t enabled USB debugging on your device, you will receive a request to do that now. If you had already done that, you can skip this step. Step 3: In the next window, select the file type you would like to recover. In this cases since we lost Music, we need to select Audio from the presented options. 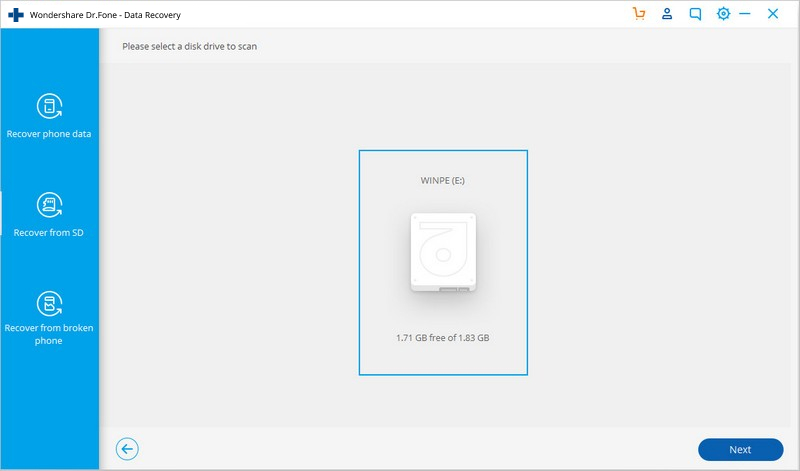 Step 4: Click “Start” and the program will begin an analysis and scan of your device. 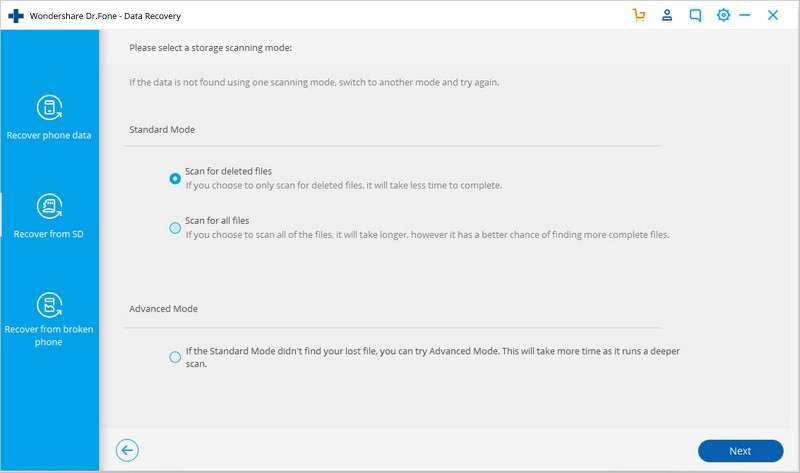 You can decide to use the Standard Scanning mode, which is faster or the advanced mode. Step 5: allow Dr Fone some time to complete scanning your device. This process may take some time depending on the amount of data you have on your device. If there is a Super user authorization request on your device, tap “Allow” to continue. Step 6: Once the scan is complete, you should see the data that Dr Fone has found listed in the next window. 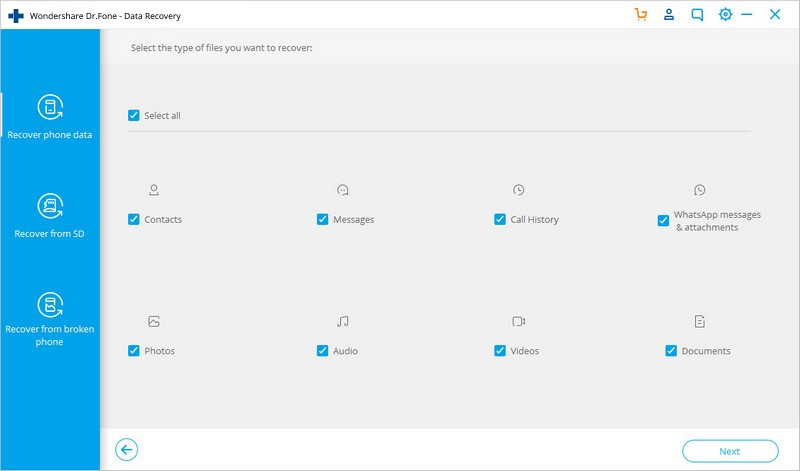 Select the music files you had lost and want to recover and then click “Recover” to save them to your computer. You can then transfer these files to your device. 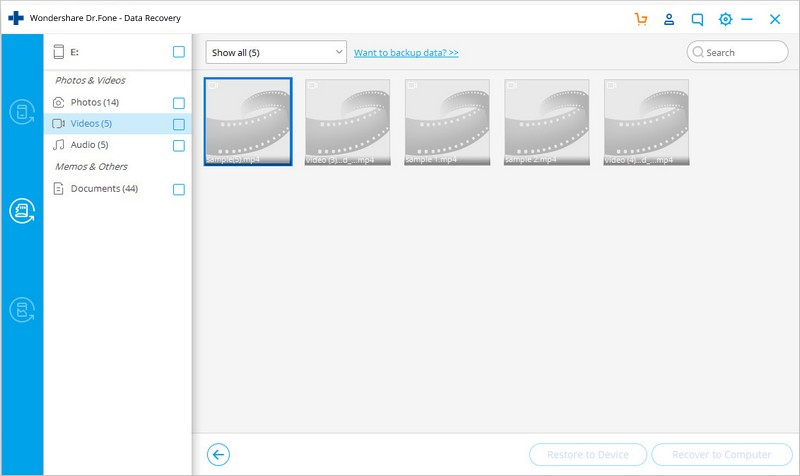 If the deleted music was in your SD card, follow these very simple steps to recover the files. Step 1: Launch dr.fone and then connect your SD card to the computer using an SD car reader. Step 2: The program should detect the SD card. Select it and then click "Next" to continue. Step 3: Select a scanning mode. 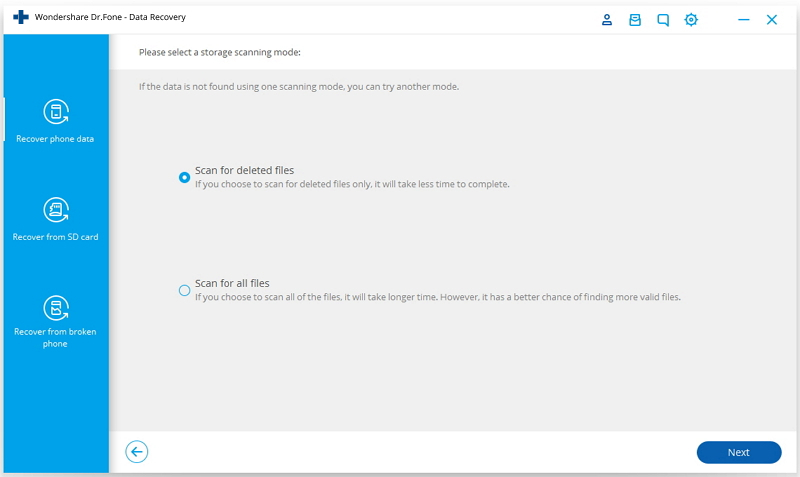 You can choose between the advanced and standard scanning mode and click "Next" to continue. 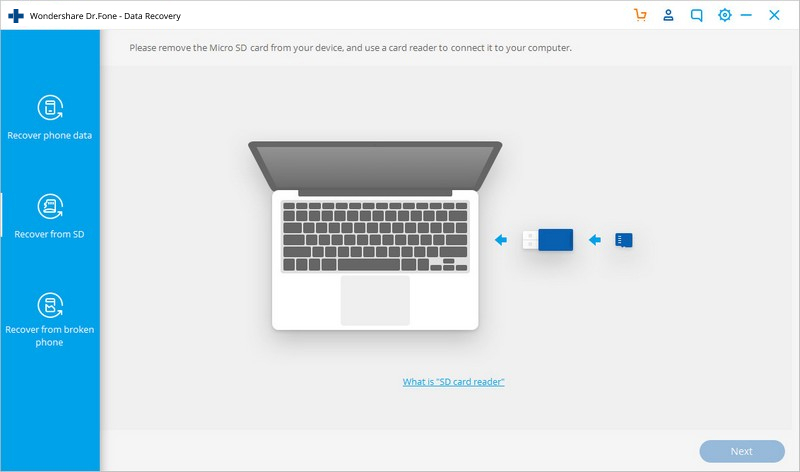 Step 4: The program will begin scanning your SD card. Give it sometime. Step 5: Once the scan is complete, select the music files you would like to recover and then click on "Recover." Just like that, you have all your missing music files back. 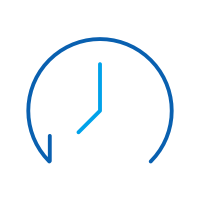 We know that you hear this a lot, but the best way to prevent data loss is to have a backup. Therefore it is very important that you regularly update your backups. It may not hurt to have a copy of your music library on your computer. 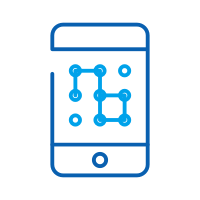 Before you undertake any software update or rooting procedure, backup all the data on your device, you never know what may happen. As much as you can, avoid letting children play with your device. Many accidental deletion incidents are caused by children tapping the wrong option. If you want to keep your Deezer music, you can also download Deezer music, save it on your computer or smartphone. As important as backups are, they are never completely fool proof. 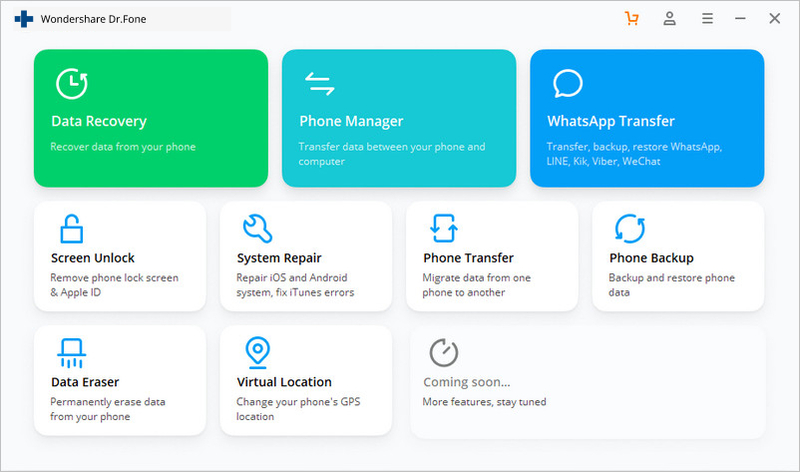 But thanks to Dr Fone for Android, now you have a solution for those rare times when you lose music files that are not on any of your backups. If your Nexus 7 won't turn on, follow the steps we have outlined to revive the device. We have also given you a solution if you are not able to.